how can I rotate hybrid objects in any view other than plan view??? I have a lighting design. I have hybrid objects on a straight truss, no problem. I also need to put the same hybrid objects on a truss that's on a 20 degree angle in front view. I get the message "hybrid objects can only be rotated in plan view." How can I rotate these objects in front view??? Truss objects specifically have an attribute in the Object Info palette named "Hanging Angle" that you should be able to use for this. 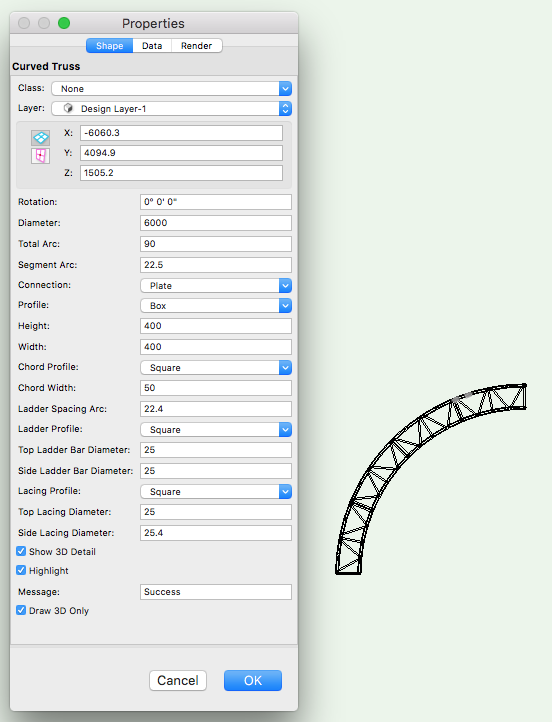 Curved truss should be rotate-able if you check the box for "Draw 3D only" in the OIP. You can easily do this in more current VW versions using Design Layer ViewPorts. The catch is that I don't know if it is possible in 2008. Give this thread a read: http://techboard.vectorworks.net/ubbthreads.php?ubb=showflat&Number=177103#Post177103 to get more info. I uploaded an example file that might help, as-well. It's not the truss I have the problem with it's the lights. I have my truss at 20 degrees, now I want my hybrid lights to also be at 20 degrees. It seems this is only possible if I make my symbol only 3D. Thanks Andrew. I'm using spotlight 2014 so I have access the up to date tools. I had a read through the thread you suggested. Again I have the same problem, I can only rotate a symbol in the X or Y axis if it's 3D only, I have to lose the 2D representation. In the OIP of the instrument click the Set 3D Object Orientation checkbox. Then enter the angle for X and Y rotation. I get the message "Hybrid objects can only be rotated about the Z axis"
Just to be clear: Don't try to rotate it with the rotate tool or menu command. When you check "Set 3d Orientation" in the OIP, two new fields will appear below the checkbox. Enter a value into one or both of those fields. Did you download and work with the sample file I posted? If the workflow I suggested will work for you, you won't have to lose any of your geometry - namely, the value of the 2D parts (legible plots). Just remember, you're tilting/raking/rotating Design Layer ViewPorts - not the truss and lights they reference. FWIW, it took me a while to get my head around the technique, but I now use it constantly for things like raked trusses, vertical elements, and ladders. Bingo, thanks Andrew, I have this working at last. My drawing is a similar scenario to your example, I have truss arches. It seems a clunky way of doing things but it works. I know this seems a bit convoluted, but it REALLY beats creating and maintaining 2 sets of geometry - especially for projects that have lots of changes along the way. Checking in on this....has there been any feature released on how to do this easier in v2017? I have similar desire....a raked truss with lighting fixtures. You can incline a Straight Truss by changing the Hanging Angle (near the bottom on the OIP). Immediately below that is a field for Rotation which allows you to rotate the truss around its longitudinal axis. With a Curved Truss you have to checkmark the option Draw 3D Only (near the bottom on the OIP). Unfortunately, I'm not using the truss tool. 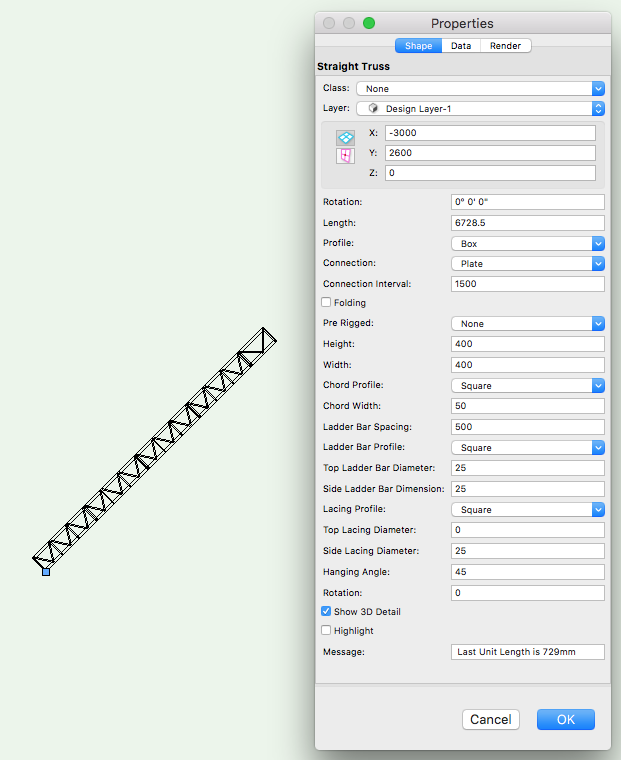 In order to get my drawing to be accurate, I've imported the CAD block from Tyler Truss' website for GT Truss. Once I imported it, I then converted it into an Auto Hybrid object so it was able to represented on both my 2D & 3D views. And that's where I run into problems. You can see in the attached file that I've created a 32 ft. section of truss with lighting fixtures and I'm wanting to rake that truss. Rotate the truss elements first and then create an Auto Hybrid of that. It would be better to do all four truss elements together so you have a correct view of the total truss unit. 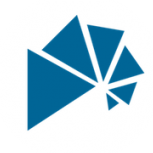 You need to rotate the 3d component before converting to Auto Hybrid. If you need to edit the rotation edit the 3d component of the Auto Hybrid. I will suggest going back and looking at Andy Dunning's concept of the Design Layer Viewport. 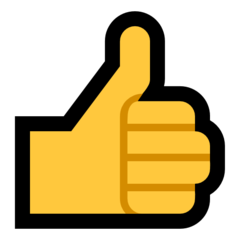 It seems like a silly, convoluted workaround at first but once you understand the process and the benefits, it's actually extremely cool and I use it all the time for anything that is raked or anything that is automated. You can place everything exactly where you want it in 3D space and still maintain accurate 2D models for you shop staff. The latter is a huge selling point. Once you rake a truss, what do you do for accurate shop drawings? This approach allows you, without any extra effort, to produce detailed plan views of every structure in your rig and it is basically laid out "flat on the floor" exactly the way the shop staff preps it. No silly wireframe nonsense. You cannot do that with a generically raked structure. Another benefit is that moving a truss structure on your plot in any direction (X, Y or Z) moves EVERYTHING associated with it regardless of which classes were turned on or off or how you selected all those items. Now truss, lights, softgoods, scenic elements, video elements all move together with a SINGLE click. You can't do that with a generically raked structure. Lastly, adding fixtures to an already raked truss is now no different than adding a fixture, or any other element for that matter, to a flat truss. Need to add a truss border after a meeting with the production designer? Easy as adding a soft good to any straight element. You can't do that either with a generically raked structure. I seriously recommend this approach. I will suggest going back and looking at Andy Dunning's concept of the Design Layer Viewport. This is definitely the way to go. Use the Create Plot and Model View command from the Spotlight Menu. Its a bit of a head scratch at first, but definitely the way to achieve accurate 2d Workshop drawings for laying out positions as well as seeing the actual structures as a model. These 2 youtube videos will help.